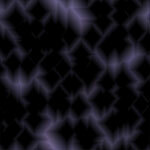 NOTE:To view free animated backgrounds tiled in a full screen, click on images below. To save animated background clipart, click on thumbnail then save from page that opens. If you save images from this page, they will not be animated. You may use our free animated background images on your web pages. Our free animated backgrounds may be used as Myspace backgrounds, Xanga backgrounds, Facebook backgrounds or as motion backgrounds for any other personal web space you control. All animated backgrounds on these pages are original creations not computer backgrounds from other web sites. The star backgrounds and space backgrounds were created using Alien Skin Software. All of the html backgrounds were organized using Adobe software. All cool backgrounds, free myspace backgrounds, background pictures, cute backgrounds, stars, black backgrounds, web backgrounds, insane and silly backgrounds may be used free to enhance your web pages.